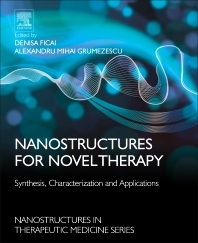 Denisa Ficai is Associate Professor of Inorganic Chemistry, Faculty of Applied Chemistry and Materials Sciences at the University Politehnica, Bucharest. Her research interests are currently focused on nanomaterials (especially ferrites, oxides, phosphates) and composite materials (especially hybrid composite materials comprising 0D, 1D and 2D reinforcing agents) most of these materials being designed for medical and health industrial applications. She has published over 50 papers in international scientific journals that have been cited more than 200 times. She has presented at more than 40 conferences and holds 6 patents. She is a co-author of three books on chemistry and also authored four book chapters.